Why is nature play beneficial for kids? With the rapid development of technology – smartphones, tablets and gaming – in recent years, it sometimes feels as though playing outside in the fresh air and amongst nature is an old-fashioned ideal, relegated to the fond childhood memories parents reminisce about. Aside from emerging research that shows the potential harms of too much screen time, there is also plenty of research highlighting the benefits of nature play. 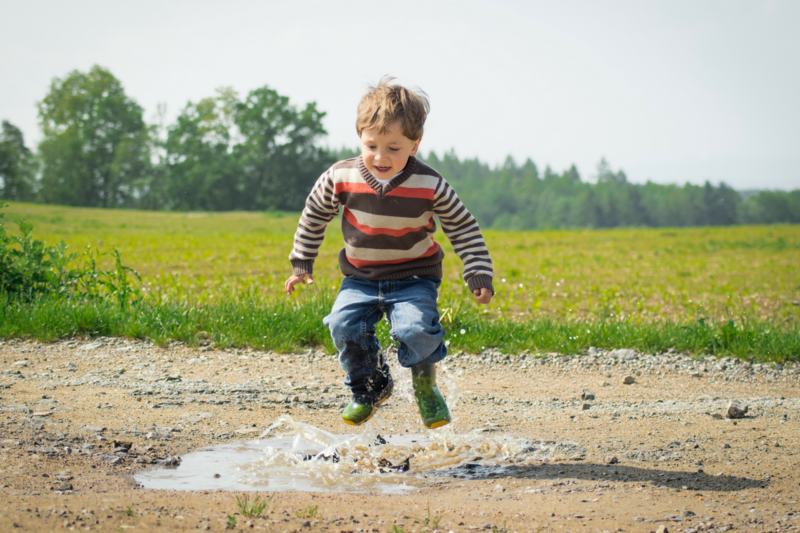 Children who play regularly in natural settings are sick less often. This is likely to be due to a number of factors including greater physical activity levels, less stress, exposure to fresh air and natural elements such as dirt, water, leaves and sticks, that can help to stimulate the immune system. 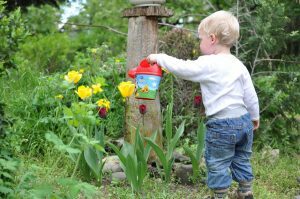 In terms of physical development, nature activities also enhance fine motor skills; scooping dirt, planting seeds, collecting leaves, pouring water, and these can translate to the classroom when it comes to writing and cutting with scissors. Outdoor play in natural settings has also been linked to greater resilience, lower incidence of behavioural disorders, anxiety and depression; and improved relationships with peers. The sensory input, mindfulness of focusing on a creative activity and time spent together with family and peers all contribute to the social and emotional benefits. Involving kids in the garden also provides a learning opportunity on the importance of taking care of the environment. They can learn about pollution, pesticides, compost and recycling. Studies have also found that play in natural settings helps with creativity, language and collaboration skills. Single-use play equipment becomes boring quickly for kids; whereas natural, irregular spaces help them to recognise and negotiate risk, building their confidence. 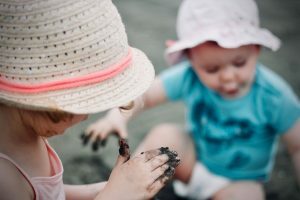 Nicole from Creative Mum Life offers 8 ideas for nature activities for toddlers. 1. Getting active in the garden – plant fruit and vegetable seeds. We all understand the importance of eating fruit and veggies but it can be quite a challenge to get toddlers eating them. However, by having them grow their own snow peas, carrots and spinach, they will have a sense of pride in eating what they have ‘created,’ in turn, encouraging healthy eating! Gardening is also a great introduction to science. Kids will be curious as to what happens once they plant their first seeds, and are able to monitor the progress each day – they are learning the basic steps of the scientific process. While waiting for their fruit and vegetables to grow, kids also learn patience and experience the excitement of their seeds sprouting! 2. Create an outdoor pipe wall. Particularly good for toddlers, this activity assists with fine motor skills, and brings awareness to textures, volume and colours (if sand is coloured). It allows them to get into the fresh air with a creative activity outdoors. You will need a few pieces of PVC pipe or water bottles with the lid off, masking tape, some containers filled with sand, a couple of buckets, a scoop and at least one funnel. Arrange PVC pipe pieces along a wall or window and secure with some masking tape. Gather some containers filled with sand and get the kids to scoop up the sand and tip it into funnel/s through the pipes. Ensure you have some buckets set up under the pipes first! If you don’t have any pipes you can use water bottles and this will mean no buckets are required. For extra fun try coloured sand or experiment with wet and dry sand! 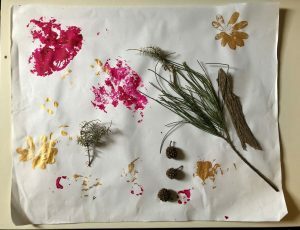 While a fairly simple idea, this activity can be enjoyed by a large age group as the focus changes based on age; toddlers may enjoy the textures and colours while older children may engage with the creative aspect. Simply collect a variety of leaves (and nuts, flowers and bark if you wish), then paint and press onto paper. 4. Chalk drawing outside on the footpath or driveway. Again, great for creativity and fine motor skills, this activity is also a low-mess activity! Similar to leaf painting this activity allows creativity with natural materials. Rock painting enables kids to create a garden decoration that lasts or they can even be used in games as with the recent rock ‘hide and seek’ craze. 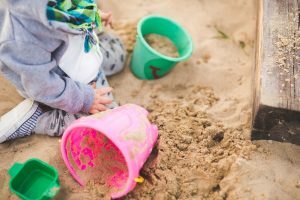 Clamshell sandpits are relatively inexpensive and easy to find, they can be filled with sand to provide a sensory play area with just a few extra tools like buckets, spades and toys to add interest. 7. Dig in the dirt for spaghetti worms. This is super fun, messy play but also really easy! Add cooked spaghetti to a plastic tub filled with dirt. Give your toddler some plastic tongs (like large pinchers or tweezers). Set up plastic containers to drop the ‘worms’ into. Set the kids up in the backyard with some mud in buckets and a collection of old kitchen pots, tins, trays, and utensils (you can grab cheap old items at op-shops, if you don’t want to ruin your good ones!) and let the ‘cooking’ begin! For more budget-friendly, creative play ideas grab your FREE copy of the Creative Mum Life Clever Activity Planner or head to the Creative Mum Life website. 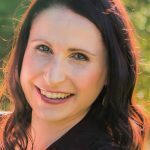 Nicole is the owner and founder of Creative Mum Life, a resource of inspiration for kids’ activities, with budget-friendly ideas that busy modern mums can get into with their kids. 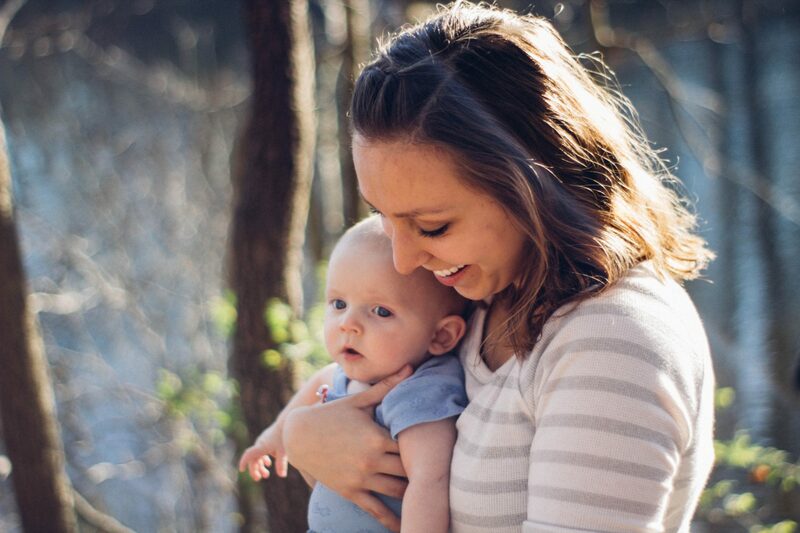 Nicole is mum to two preschoolers and after spending many hours searching google with little inspiration, decided to create a one-stop-shop that is easy to find, always fun and creative, and won’t send mums and carers broke! Want more free tips and inspiration? 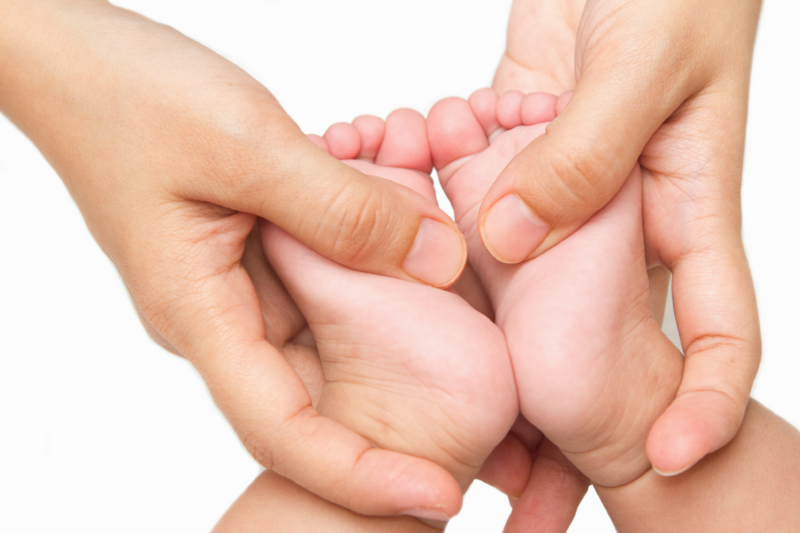 You can sign up to receive regular updates from Wholehearted Family Health below.